We're so excited that you are interested in participating in this important community event - the Colorado Combines! This is a chance for our Colorado teams to come together in community- to meet new people and get a feel for the culture of different club teams. 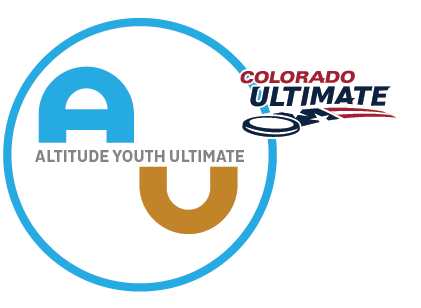 Altitude Youth Ultimate (AYU), our State-Based Organization, is taking the burden off of the club teams by organizing the logistics, and the club teams will be organizing all of the actual events. We will be holding one combine for each division (mixed, women's, and open) on various dates so that you can attend more than one! *Any additional money that is made after paying for the fields and someone to do USAU status checks will be a donation to AYU, in order to support youth ultimate in Colorado! Jersey Drive - We would love for you to help us reward our top youth participants and volunteers by donating your old jerseys. It is pretty cool to see a player proudly wearing a jersey you donated! Please bring jerseys you'd like to donate at the combine! Contact AYU if you would like financial aid for these combines (either for registration or USAU dues). AYU and the club teams hold strongly that money should not be a barrier to being part of our ultimate community or participating in the combines. This information will be kept confidential. We're asking all participants to have a USA Ultimate membership so they will be covered through USAU insurance and ensure safe playing facilities (Insurance is required for reserving fields). Players can choose to sign up as just a USAU Affiliate Player for just $17 - this amount can later be applied to Club Player membership if they decided to play in any club tournaments. Teams participating in the combine also will not have to incur the cost of obtaining insurance.